In the previous episode, we looked at the beginnings of value based pricing which involves uncovering the potential value of a project. This can be accomplished by asking the potential client certain questions in order to find out their business goals as well as the problem that needs to be solved and how much the solution will impact the business. The first part involved understanding the problem now we’re going to look at understanding the cost and the positive or negative cost of addressing the business problem as well as what it cost you to solve the business problem. For the second part of value based pricing you need to find out more about the business and its current state. You will begin to ask questions about how much money the client makes in a month, how many leads they get in a month and what the clients holds valuable. You will then use this information as an anchor to show the impact your work can bring once you solve the business problem. 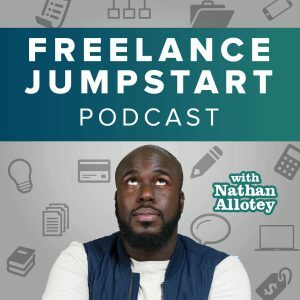 How many clients do you work within a month? How many website visitors do you get in a month? The goal of these type of questions is to create a snapshot of the client’s business prior to providing a solution for them. These questions are important because the next step involves presenting a solution and you want to give a before and after look of where their business currently is and where their business can be with your help. This pre-snapshot does not always have to be monetary for example what website class you may ask them how many website visitors they get or view their current rank on Google, social media followers or event keyword rankings. There are other items you can focus on even if some of their answers may be 0. As you have clearly defined the problem in part one now you know enough information about the problem to research different solutions which may work for the client. The work you’re doing maybe custom tailored to the client or the solution may already exist out there and it’s something you need to guide them towards or coach the client how to use it. Find out as much information about possible solutions for the client. This even if you need to call other companies or call other consultants and creatives to ask them and explain the problem to get a different perspective. You are creating possible options and it will be your job to narrow down what the best option is for the client. As you’re researching time yourself for every action you take. As you craft possible solutions for the client the time period in which you are researching counts as time spent toward the project. When timing yourself this assumes you have already evaluated what your time is worth. You may end up working with a client and the solution involves similar work to what you’ve done in the past. Therefore, you should have already evaluated what your time is worth. For example, let’s say you value your time at $50 an hour. If you’re researching a solution for the client and you’ve already taken 6 hours of research then ask yourself for this type of work are you able to charge over $300? And when you arrive at a solution you will have to estimate how many hours it will take for you to implement that solution and then ask yourself the same question, does the price I am able to charge exceed my investment of time? If so, it’s a good project to move forward with, if not then you either need to point in the right direction will come up with a solution that is not so time heavy on your end. As a result of your research and evaluating how long it will take you to implement the solutions I recommend choosing to options or, at least, two options that are best for the client to solve the problem. One solution may be more involved and will overall provide more value for the client which in turn Will be the solution with the higher value price. The other solution may not require as much time on here and it may be a less costly solution for the client. For example, I had a web design client who wanted a website blog. Now there were two ways to approach this, the first way involved me creating a custom website for them including a blog, graphics and branding for a total of at least $7,000 – $10,000 and a large investment of my time. The second way was to set the client up with a pre-existing blogging platform or click and drag website and coach the client through the concept for content marketing until their audience grew larger, which would not take up too much of my time. Both have solutions hold value but one may be more appropriate than the other. With 2 solutions in hand, we can finally move on to part 3 of value based pricing.